Season eggs with salt and pepper. Dip veal in egg mixture, then roll in bread crumbs. 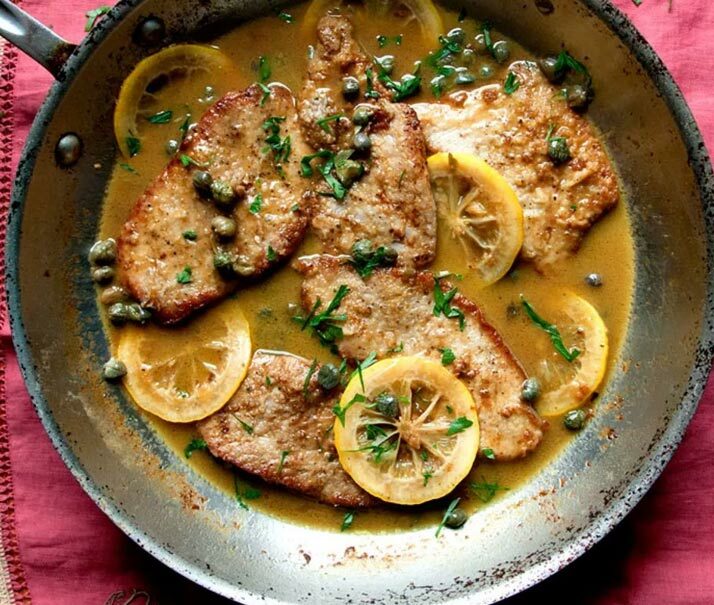 In large skillet, brown veal in olive oil; transfer to large casserole dish. Add mushrooms, garlic, and herbs to skillet; cook until garlic is tender (add additional olive oil if necessary). Add Tomato Magic, chicken broth, drained Porcini, reserved liquid (be careful not to get any grit in liquid), capers, and butter. Cook, stirring, until blended. Pour over veal; bake at 350 for 45 minutes, or until tender.